Clingendael : The Netherlands Institute of International Relations ‘Clingendael’ is a think tank and diplomatic academy on international affairs. The Conflict Research Unit (CRU) is a specialized team within the Institute, conducting applied, policy-oriented research and developing practical tools that assist national and multilateral governmental and non-governmental organizations in their engagements in fragile and conflict-affected situations. Peter Knoope is a career diplomat who was inter alia Head of Mission to Afghanistan and headed the Humanitarian Aid section at the Dutch Ministry of Foreign Affairs. Currently he is a Senior Visiting Fellow at the International Centre for Counter-Terrorism, where he was the Director from its inception until August 2014. Grégory Chauzal is a Senior Research Fellow at our Research department, where he specializes on security and terrorism issues, with a special emphasis on the Maghreb-Sahel and the Middle East. This report is based on a series of interview between the authors and key political, social, and religious leaders throughout Ghana and Benin that were conducted in the fall of 2015. While several countries in the WATHI zone have experienced political violence as a cause of radicalization, others have not. This report looks at two countries that have been relatively free and safe, identifies why those countries have so far been spared and what are the possible threats that might lead to violence. We have selected this reading because there are very few field-based reports on religious trends, relations between religion, society and politics in countries like Benin and Ghana, which have been spared by conflicts and crises in West Africa. 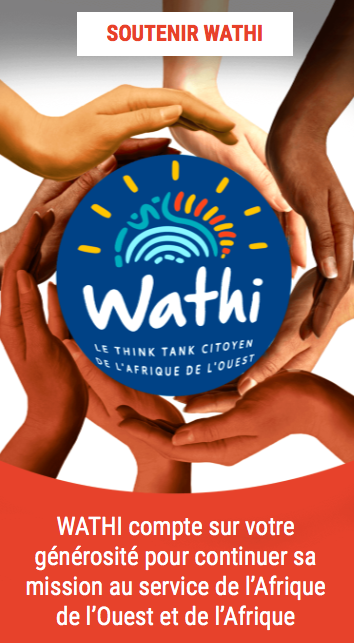 For WATHI, the question of the influence of religions on the evolution of society, politics and security in West Africa is one the crucial issue that individual countries and the region have to look at carefully if they want to secure a peaceful future. What lessons for the countries of the WATHI Zone ? Societal actors need to be mobilized to create a space for the new generation to step into relevant leadership positions. Political parties and associations need to create space for new cohorts and to hold them accountable. Development of the peripheral regions and giving the state a more visible presence in remote areas. By creating new opportunities, state authorities would significantly reduce the attractiveness of organizations that try to win hearts and minds through alternative service delivery systems and the creation of parallel societies. Qualitative investment in border-control efforts and regional dialogues (at bilateral and multi-lateral levels) to improve intelligence-sharing on population flows. Excerpts below are taken from the following pages: 2, 6, 10-16, 33-35. Crises in the Sahel (from Mali to southern Tunisia and Libya) and the regionalization of Boko Haram’s activities as fas (sic) as the Lake Chad basin (Niger, Cameroon and Chad) are some of today’s worrying signals related to West African stability. New religious “ideologies” (Christian evangelism and/or Sunni revivalism), mixed with economic frustrations, have deeply impacted the traditional balance and make long‑term stability a challenge for most of the countries in the region, from Mali to the Horn of Africa. The report explores the specific ways the Ghanaian and Beninese actors are dealing with politics, identity and societal stress. It also identifies the influence of external actors, from both the region and beyond, and potential spill over of nearby conflicts. The report comes to the conclusion that several issues, like border porosity, absence of a regional strategic approach to counter terrorism, youth frustration towards the elder’s political and economic monopoly, rural and urban disparities and rampant illiteracy are some of the regional aggravating factors that are conducive to the spread of extremist ideology and dividing behaviours. This report can be considered as an early warning. What is urgently needed is early action. The popular narrative and perception among the population is that Ghana is strongly divided into the north and the south. The southern region is relatively rich and geographic isolation is said to play a role in the northern region’s economic backwardness. This has been translated into the need for a balanced political representation in government and otherwise. For instance, Ghana’s present day president, John Dramani Mahama, is from the ‘north’, a fact that is known and relevant for the political balance in the country. Yet unlike what one would expect, he is not a Muslim. In Ghana, a significant slice of the population in the geographic north is Christian. There are different interpretations of the historic whereabouts of these people. The fact is that the mixture of the two groups in the northern part of Ghana has not led to major tensions. Although there have been some incidents lately, the field research and interviews conducted highlighted the reciprocal tolerance existing between Christians and Muslims in northern Ghana. Ghana is, however, a religious war zone in a different sense. Religion is hard to escape; the visitor to Ghana will find him or herself confronted with preachers, churches, loudspeakers, bill boards, flyers and other signs of religious institutions, all trying to win hearts, minds and, most of all, souls. This takes the form of intimidating actions on some occasions and is intruding at the very least. Competition, especially in urban areas, is fierce and public. While ‘space’ is obviously limited, political support appears as a ‘fast-track’ option to enlarge an audience. The representatives of churches and religions are then trying to win as many politicians for their specific affiliation in different ways. Representing big numbers of voters is an argument that is used to gain access to the government’s inner circles and policies. In other words, it works both ways: winning hearts, minds and souls gives leverage and access to a privileged circle; access raises status and influence, and wins hearts and minds. Many mingle in this race. Newcomers like the Pentecostal and Charismatic churches, the Orthodox Christian churches and Orthodox Islam are all supposed to be ideologically and financially supported by outside sponsors (such as the US Charismatic churches for their Ghanaian counterparts, Turkey for the building of the mosque in Accra, Saudi Arabia for local mosques and training, Pakistan for the Tabliq worshippers, and Egypt for training). Except for Turkey, whose government makes its support very public, other countries generally favour a more discrete cooperation, particularly via religious associations or charitable non-governmental organizations (NGOs) that are active in the field. Even though they are sometimes publically discrete, religious and political relations are intense in Ghana. One must be affiliated with a religion and, even though it is not loudly claimed, politicians refer to this ‘identity’ as a support base for the elections. At the same time, the Ghanaian government must pay well-balanced attention to all religions and groups that could represent a certain constituency (approximately 70 per cent Christian and 20 per cent Muslim). This is a balancing act that seems to work at present. Yet the balance is fragile (between the Christians and the Muslims, but, more importantly, within the Christian camp, between Catholic and evangelist influences, and within the Muslims, between the Sufi and the Sunni factions), and the battle is still ongoing. It is yet to be seen whether and to what extent the balance will hold, and this will largely depend on some of the developments that influence Ghana from outside. Ghana is far from immune to developments in the region and in the Middle East. As well highlighted by the Turkish-funded building of a replica of the Istanbul mosque in Accra, these foreign influences are powerful, and sometimes very dominant and visible. Islamic vitality in the country is strong and is spreading, as notably illustrated in Tamalé with the Ambariya Sunni community and their holistic activities with local populations (such as an Islamic school and Arabic literacy courses for adults, which seek to expand to social activities). Although the number of recruits for armed groups and terrorist organizations such as the Islamic State in Iraq and Syria (ISIS) is now very limited (with only two cases officially reported by Ghana’s Ministry of the Interior), the potential is supposed to be bigger, especially among the majority of unemployed youth from both urban and rural regions, especially the northernmost remote areas. As already mentioned, the average Ghanaian will publically identify with his or her community. However, while all of the interviewees emphasized their ethnic group as their primary identity, the very public notoriety of influential leaders’ religious affiliations, and the articulation in all of their accounts of religion, illustrate the importance played by non-ethnic factors in Ghanaian society. Another strength of Ghana is its conflict-management system. At the national level, the National Peace Council, which is composed of traditional chiefs, religious leaders and some ‘major players’ from the academic and political domains (elders, mainly), is presently functional and manages to resolve tensions effectively. On the religious issues, the Inter-faith Religious Group is referred to by many, if not all, of the actors as an operative tool to regulate possible tensions and to prevent inter-religious conflict in Ghana. One of the factors mentioned by many in Ghana as part of the ‘secret’ of the relative success of the social fabric is Ghana’s educational system. Based on secularity and multi-confessional affiliation, the Ghanaian educative system is commonly presented as a major formula for stability in the country. Besides this formal system, some religious institutions decided to ‘liberate’ themselves from the Ghanaian state, and to cater for religious education only. Besides this formal system, some religious institutions decided to ‘liberate’ themselves from the Ghanaian state, and to cater for religious education only. The Ambariya Sunni institution in Tamale is a clear illustration of this: with 3,400 Muslim pupils and 140 teachers, it has preaching activities every day of the week. These local exceptions do not, for now, question the national Ghanaian government’s curriculum, but are a strong and clear signal of the existing religious pressures at play. These parallel educational institutions moreover show a certain resemblance to the early stages of Boko Haram in Nigeria. As already mentioned, Ghana originally blended African religion with imported Arab Islam. This is generally referred to as the Sufi tradition. This phenomenon is not only happening in Ghana, but has been observed all over the West African region. Opposition to the Sufi syncretism, which is considered impure by the Wahhabis from Saudi Arabia, came from the Gulf itself. Ghanaian scholars were invited to Medina in Saudi Arabia to study Islam and returned to preach the ‘new’ doctrine. This imported movement is now known by the name of Al-Sunna. In Ghana, it is embodied by the Sunni camp. Dawa refers to the propagation of radical Islamic ideology. Because of their economic (such as financial assistance to Muslim communities, or aid for building the mosques) or ideological support (religious training), foreign countries have succeeded in developing their influence in the whole of the West African region. In Ghana, Middle Eastern religious influences are expanding, to the detriment of local Sufi Islam. 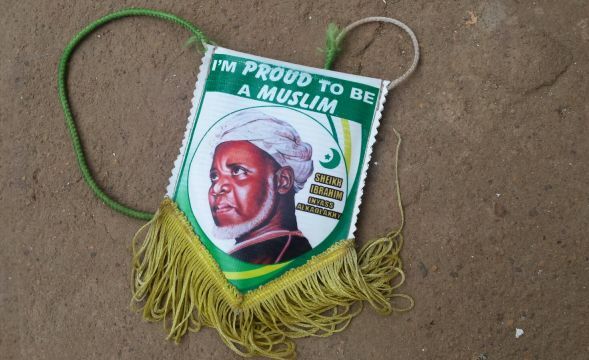 It is strong in terms of numbers (around 80 per cent of Ghanaian Muslims according to a Sunni source in Tamale) and its leaders are presently developing a concrete expansionist strategy. Thanks to several encouraging factors (including Saudi support, delegitimization of the traditional local figures and a ‘complete and ready for service’ alternative identity), the Al-Sunna movement has the ambition to deliver social services to the community and to raise political support for its pure interpretation of Islam. Backed by a new generation of preachers, it now sends scholars to Saudi Arabia and is accredited to universities in the Gulf. Their Tamale stronghold today represents the base for their future extension, with tensions expected with the traditional Sufi hierarchies, including the National Chief Imam. Last but not least, Ghanaian Muslims also reckon with a militant and yet non-violent group called Tablighi Jammat (or Tabliq). These worshippers are ideologically trained and inspired by Pakistani preachers, with outside retreats as a core element to their identity. Their number is still limited in Ghana, even if they have an ‘office’ in Lamashegu (a Tamale suburb), but they are known to be present all over the West African region.15 According to one Ambariya source, their members mainly originate from the Sunni community. Similarly, there are reports of Iranian-trained and -inspired groups that seek to educate the young in the Shiite interpretation of Islam. It is obvious that the growth of the Al-Sunna influence in Ghana has not gone unnoticed. The growing number of Muballighin (Tabliq worshippers) in northern Ghana, who may gain momentum under external or internal pressure. Prevention is still a relevant option and a number of actions should be undertaken in order to make policy responses that are more in tune with these new trends and phenomena. A national discussion needs to take place, for example on the basis of United Nations Security Council Resolution 1624 (2005), about the possible limitations to freedom of expression and hate speech in specific contexts. Representatives of the press, religious leaders and ‘major witnesses’ from the political and academic fields should be part of this process of finding consensus on the limitations to freedoms in public discourse and expression of opinions. All societal actors should be mobilized to create space for a new generation to step forward and take societal and other relevant leadership positions. Political parties and associations need to create more space for the new cohorts and make them more accountable (for example, by training courses and leadership positions). These efforts must be more specifically directed towards students and urban youth in more generic terms, in order to generate new groups of youths with leadership skills. Incentives, assistance and funding would be required. Better identification of hotbeds of radicalization and recruitment. Actions that are directed at winning hearts and minds, increasing resilience, community policing and early warning should be concentrated around these hotbeds (mostly border regions and urban areas). The city of Tamale in Ghana, or Djougou in Benin, would represent a good start. These actions should be taken in parallel with actions that are focused on gathering information about recruitment (scope and space) by Boko Haram and others. Most of the time, this information already exists and only needs to be centralized. Dialogue with local communities and nomad groups is essential in this context. An increasing number of external actors are present and active in the religious war zone of West Africa. Better coordination and greater transparency of agendas, sponsors and the dynamics at play could significantly help local governments to target their own assistance better and to avoid possible overlaps. This coordination should be undertaken by the Ministry of the Interior, with the support of all of the active organizations (associations, NGOs and foreign states, etc. ).